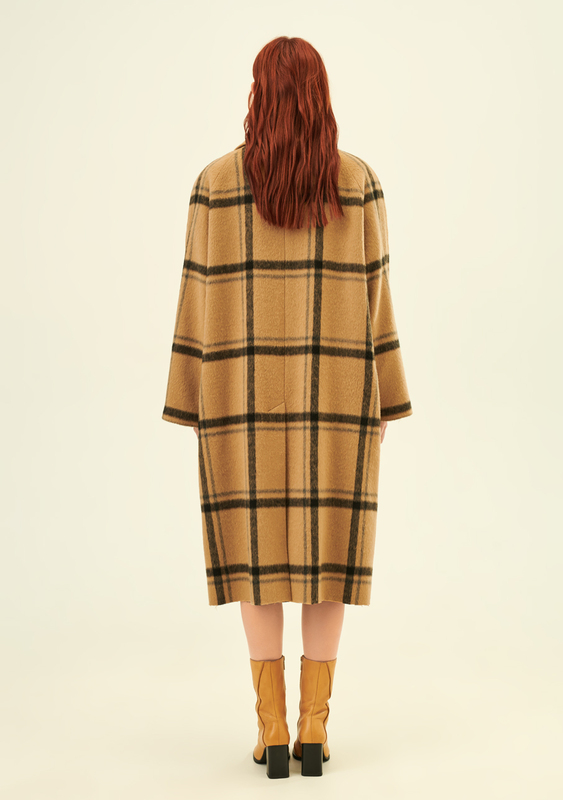 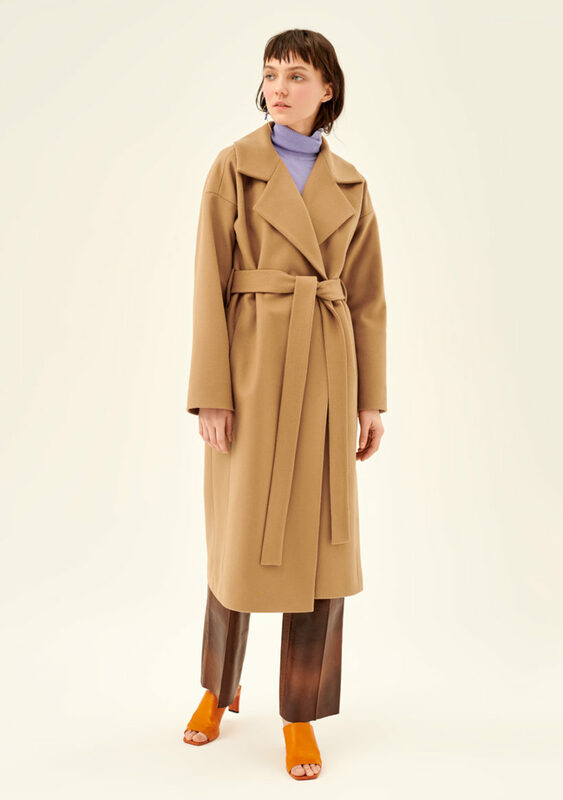 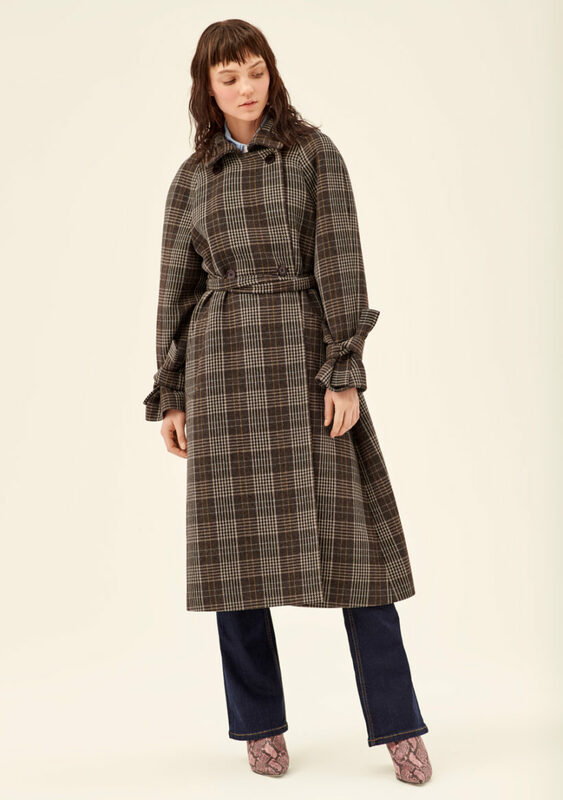 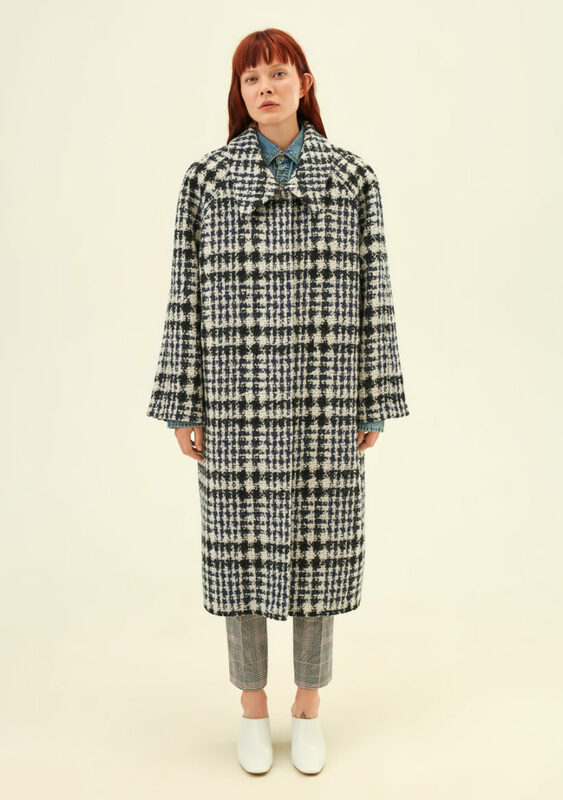 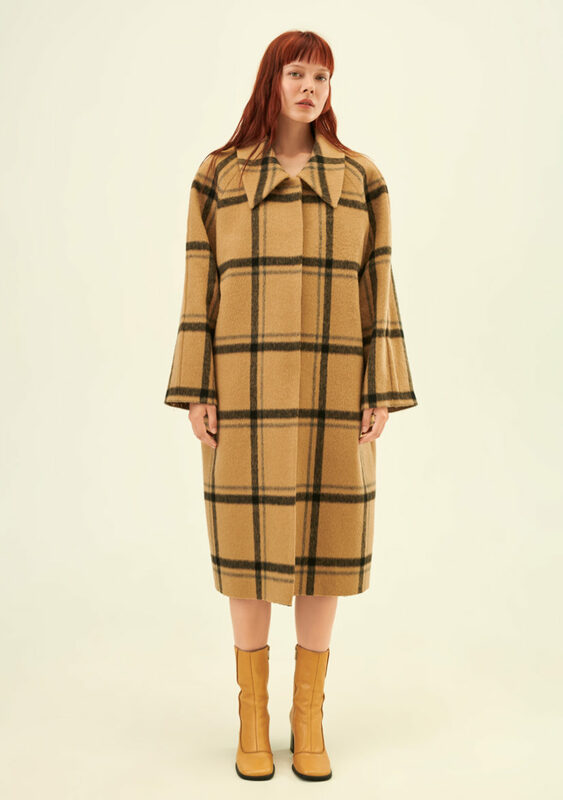 Voluminous cocoon coat with raglan sleeves and a large shirt collar. 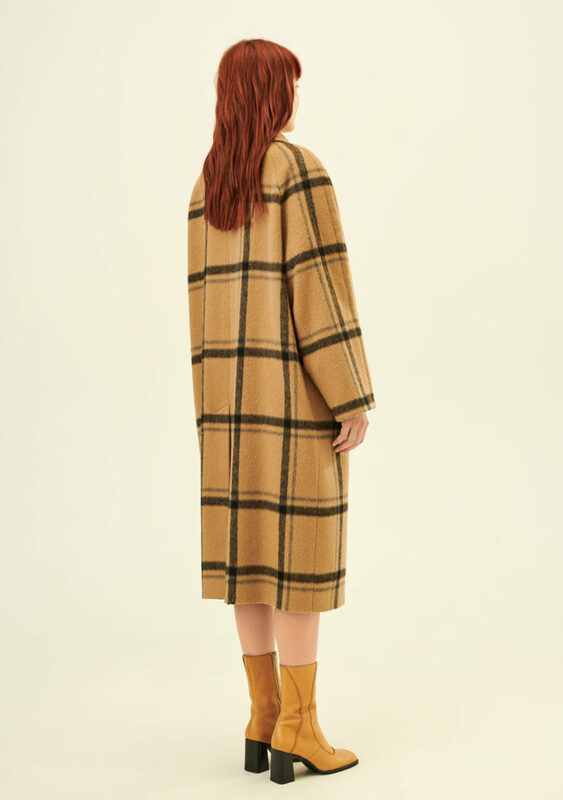 Magnetic fastening. 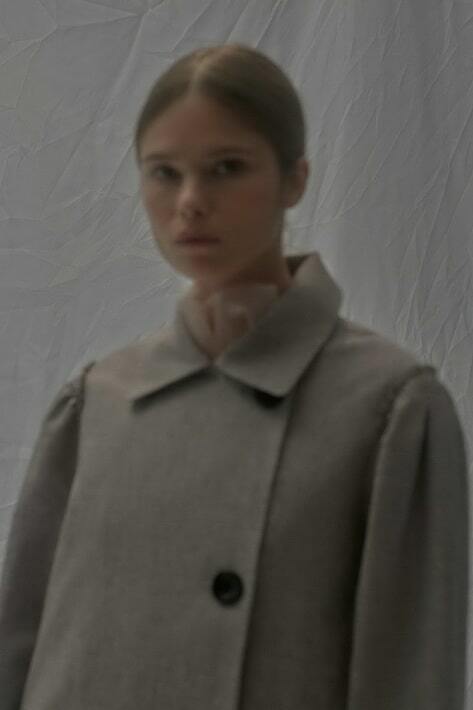 The sleeves are rimmed with big seams; a large vent is placed at the back of the coat. 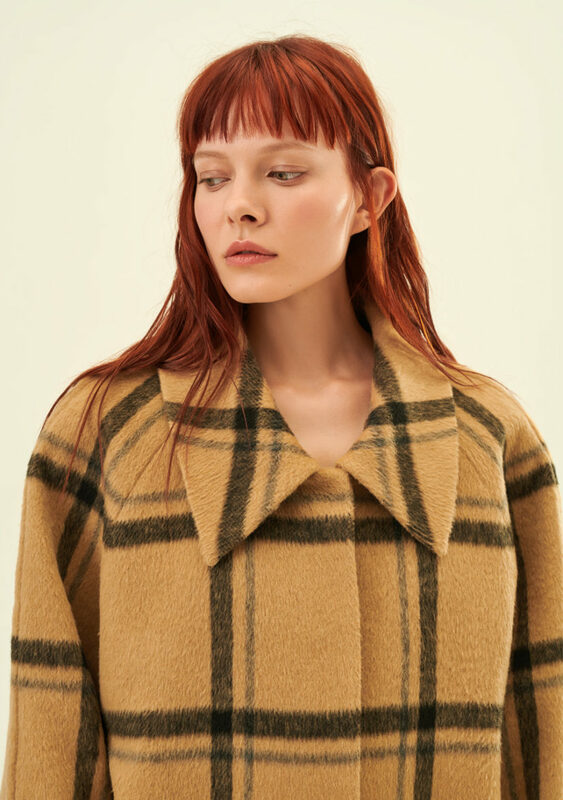 Fabric composition: cashmere and alpaca in camel with an elegant check pattern.